Are you a Flybaby? 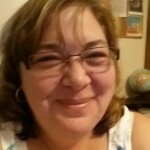 I’ve followed FlyLady since I’ve been online – way back in the 1990s! However, it’s been many years since I’ve gotten her emails. And, it can be hard to keep up on your routines/zones without accountability. Over the years, my sister Beth and my sister-in-law Christy discovered her and I was encouraged to keep going. But I had a hard time keeping track of what I wanted to do each day. While searching for iPod/iPhone apps for mom’s I found this one: HomeRoutines. There was a cost – $4.99 – which I gladly paid. Now that I have and use the app, I realize it’s worth even more than that! The app is very easy to customize for your own purposes. I tweaked my morning, midday, evening routines to fit my schedule and my routines. A 15 min timer! Perfect for unpleasant jobs! And, it’s remarkable what you can get done in 15 mins! Focus zones – again, completely customizable to fit my life and my home. The app makers maintain a blog at http://www.homeroutines.com/blog/ where you can learn more about how others are tweaking the app to fit their needs. One recent one I loved was the gal who tweaked the daily reminders to help here plan her meals. You can read more about it here. Also on their site you will find tutorials which are helpful when you are starting out. Bottom line: HomeRoutines is a great app that can change your home and your life! That might sound extreme, but with this tool, you can start making small changes to your life to make it more peaceful. Who wouldn’t want that, right?! I HIGHLY recommend it to all!